Franz Liszt is out of question one of the most important and influent composers of the 19th Century. The innovations at each level of music, from piano construction to composition, is outstanding and beyond imagination. Still today, widely acknowledge as pianist, would be hard to recognize how deep he changed the modern concept to compose and make music. Vergari, Paolo (Pianist) was born in Falerone (1964, Fermo, Italy) and studied piano and composition at the “L. D’Annunzio” Conservatory in Pescara with Giovanna De Fanti, and subsequently with M. Della Chiesa D’Isasca, E. Hubert, A.Ciccolini, T. Nikolajewa, E. Murano and A. Hintchev. He has given concerts as a soloist and in chamber ensembles at major concert halls and for international organizations including Teatro La Fenice in Venice, Sala Nervi in the Vatican City, Teatro Regio in Parma, the Reggia in Caserta, Teatro Regio in Turin, Teatro Verdi in Salerno, Teatro Olimpico in Vicenza, Accademia Santa Cecilia in Rome and outside Italy at the United Nations Auditorium in New York, the UNESCO headquarters in Paris, the Dante Alighieri cultural centre in Moscow, the Klementinum and B. Martinu Hall in Prague, Salle Cortot Paris, the Manoel national theatre in Malta, IRCAM Paris, A. Williams Concert Hall in Buenos Aires. His performances have been broadcast by RAI, TMC, Radio France, RSI, Radio Maltese, Blu Sat 2000 and ORF. He tours Asia regularly, China specially, and has been in this Country several times since 2004, performing in the most important concert halls in Beijing, Shanghai, Guangzhou, Shenzhen and Shenyang. He has performed as soloist wih the Philarmonia of Salta, the Windkraft Orchestra, the Orchestra of Radio Sofia, the Lublin Philharmonic Orchestra, the Bacau Philharmonic Orchestra (Romania), the State of Mexico Symphony Orchestra, the Fiati di Parma wind orchestra, the Philharmonic Orchestra of Brno and the RAI National Symphony Orchestra. He has played under conductors such as Giorgio Bernasconi, Mirjam Schimdt, Marco Della Chiesa D’Isasca, Petr Altrichter, Kaspar De Roo, Michele Santorsola, Jorge Lhez. His interest in the masterworks of chamber music has led to major collaborations with the “Quartetto Szymanowski”, with violinist Nicolas Chumachenco and with the Ensemble Oggimusica of Lugano. He was also a founding member of the ADM Ensemble of Modena. He has partecipated in various international music festivals including: Montepellier and Radio France; Festival of Stresa; Musica Riva in Riva Del Garda; Giardino della Musica, in Milan; BadiaMusica in Bolzano and Festival Pontino in Latina (Italy). He is been the founder and artistic director of BadiaMusica (Bolzano), an international festival launched in 2000 which each year hosts symphonic and chamber music played by prestigious performers. He teached Masterclass at Kunming University (Yunnan, China), the University “G. Enescu” in Iasi (Romania), the Magnificat School of Music in Jerusalem where hebrews and arabian musicians share their musical life. He has made numerous recordings, including the complete concertos for piano and orchestra by Gian Francesco Malipiero performed in 2005 with the Philharmonic Orchestra of Iasi (Romania) and released in 2007. In 2006 he recorded the CD My love to China, wich includes traditional Chinese music. Hailed by the critics as one of the most important works released in recent years, in 2003 he made the first ever recording of a double CD containing the 40 “Studi di perfezionamento” by Gino Tagliapietra. He has recorded the Goyescas by E. Granados for the label Clarius Audi and works by composers such as O. Messiaen, L. Liviabella and C. Rastelli for Phoenix and Altrisuoni. In 2010 he composed the music for the movie “Duns Scoto” by director Fernando Muraca. 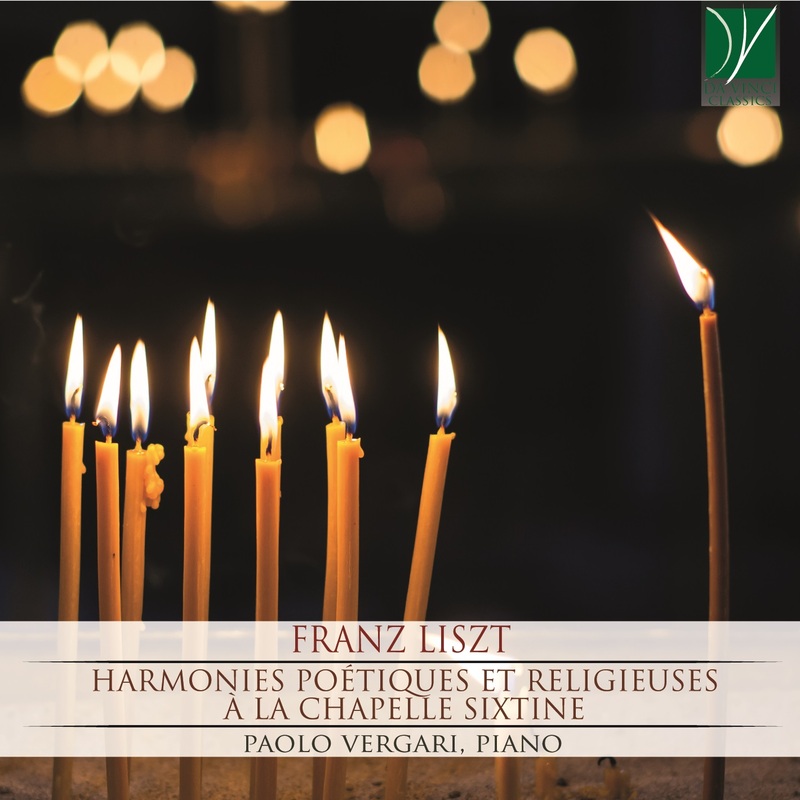 Following the passion and practise of improvisation, throught several workshops with M° François Rossé, Vergari have performed concerts on improvisations for piano solo and with other musicians as Carlo Rizzo (virtuoso player of Tamburello), Elisa Tonelli (voice), Massimiliano Dragoni (percussion); with them has recorded CD Taka’s Question (2010) and after series of concerts with the Ladinian poetess Roberta Dapunt, in 2001 he recorded Perdono, improvisations inspired by her poetry. He has teached Piano in the Conservatories “G. Braga” Teramo, “Nicola Sala” Benevento, “Niccolò Piccinni” Bari, “Domenico Cimarosa” Avellino.